A True Tale of the New Old South. Sprache: Englisch. 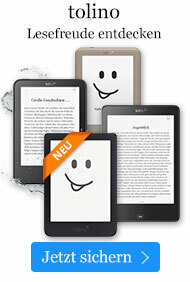 eBook € 16,92* inkl. MwSt. A True Tale of the New Old South. A compelling and vivid portrait of a Deep South community poised between the past and the future, this is the stunning true story of how a young New York writer plunged into a closed Mississippi society, and what happened when he came out on the other side. Fresh out of the Ivy League, New Yorker Richard Rubin answers a help-wanted ad for a journalist and suddenly finds himself thrust into the center of Greenwood, Mississippi, an old Delta town just beginning to submit to the realities of life in modern America. To Rubin's great surprise, Greenwood embraces him as he sets out to cover its many stories; soon, to his much greater surprise, he embraces Greenwood too, adapting so well that he even becomes a fervent booster of the local high school's football team. While covering that team, he meets Handy Campbell, its star seventeen-year-old quarterback, a poor, unknown black kid from the projects who had never played on any team before his senior year. But Handy is also the greatest natural talent anyone can recall, and by the end of the season, he has won unimaginable glory. Rubin comes to believe that their careers will somehow rise together -- the cub reporter and his prize scoop -- in Greenwood and beyond. But Greenwood's welcoming face hides darker secrets, and ultimately Rubin must leave it in order to preserve his own sense of right and wrong. As he departs, he is at least comforted by the knowledge that Handy Campbell will also be leaving Greenwood, bound for a powerhouse college football program that regularly sends its players to the NFL. Six years later, Rubin is back in New York when he learns that Handy Campbell is not in the NFL but in Greenwood once again, charged with murdering a good friend. Rubin returns south to cover the trial and trace the trail that took Handy from Mississippi State University to the Leflore County Jail -- including, he discovers, the sinister sabotaging of his erstwhile prize scoop's football career. In the process, Rubin is forced to confront his own unresolved feelings about Greenwood, as the best and worst elements of the town rise up once again, starker than ever, to do battle over one man's fate. Rubin's narrative, populated with a gallery of unforgettable characters, leads readers through a series of fascinating stories, suspense-laced revelations, and startling plot twists. Bold and beautifully written, Confederacy of Silence is a rare glimpse at how differently a small town regards two outsiders in its midst, and a tale of how all three of them are changed forever by the dawning of the New Old South. Richard Rubin is a regular contributor to The Atlantic Monthly, and has written for The New York Times Magazine, The New Yorker, and New York magazine. He lives in New York.